Entertainment Law Update Episode 67 – Holy Batmobiles! Is Teaching Yoga in public schools an Establishment Clause violation? Court says no. 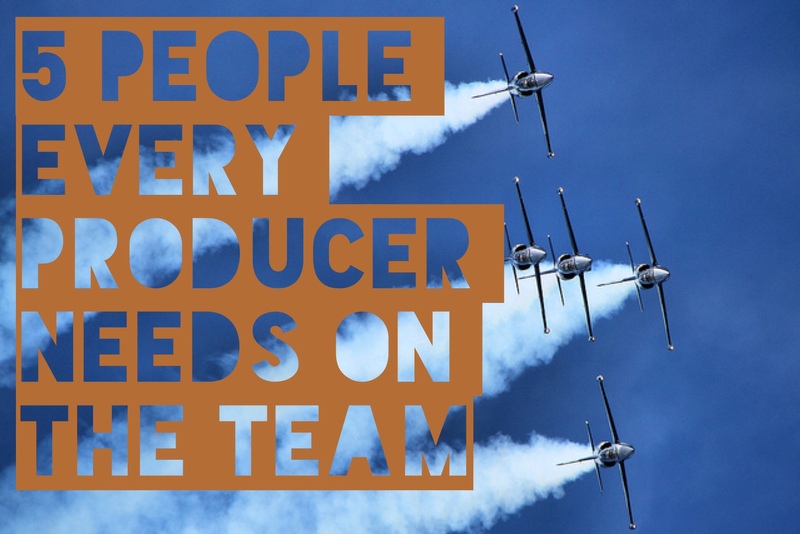 5 people every producer needs to have on the team. It’s no mystery why so few films are produced by an individual producer. It’s hard work, and it’s a little like juggling, keeping dozens of balls in the air. No producer can keep up with it all on his or her own. Bringing on a partner, or two, or three, helps spread not just the workload, but also the risk. It’s also a wise move because those extra sets of eyes and ears can help to shape the creative and business direction the project takes. It’s too easy when going it alone to get so attached to the material, or to particular goals that we lose sight of the “big picture” (pun intended). A diversified producing team can dramatically improve the quality of the finished product. But, care should be taken that someone remains in the lead position. Creativity by committee can also be a pitfall. Every producer needs an assistant. There are some tasks that we shouldn’t perform for ourselves. Is picking up supplies for the office, or taking out the trash really the best use of your time? Are you really being productive when you’re scheduling your own meetings, fielding calls from vendors who just need a billing address, and opening the masses of mail that come into any business? In business, there’s a principle that every task should be performed by the lowest-cost person who is competent to do it. Even if you don’t have a staff of lower paid employees, you can still implement this. Virtual Assistants are readily accessible. Just as there are gardeners who will mow your lawn weekly, and housekeepers who’ll clean house for you,, there are virtual butlers, personal chefs, errand-running services, and more. Virtually any task under the sun can be outsourced, and it’s surprisingly inexpensive. I’m a firm believer that financial management is a job in and of itself. And, unless you just LOVE looking at balance sheets, expense journals, etc., you shouldn’t be doing this stuff yourself. Bookkeeping can consume inordinate amounts of time, and distract from the higher-level tasks that a producer should be attending to. Bookkeepers can be hired on the freelance market. they’ll come to your office once a week (or more often), do the data entry, and balance things, so you know at a glance where the project finances stand. It also makes sense to have an accountant available to help with quarterly reporting, payroll, taxes and long range planning. Find someone whose advice you can trust, and spend the time to bring them “on-board” with your goals and intentions. The better your team understands the context of things, the better they’ll be able to help you achieve your goals. You may want to consider hiring a business manager. Essentially, a business manager is a financial professional who will handle your accounting matters on a percentage-based fee, instead of hourly. Most business managers take on a broader role than that of a “regular” accountant. Often they are given authority to manage investment accounts, receive and make payments, etc. Obviously, this is a position of extreme trust, so caution should be taken to interview and vet prospective business managers carefully. If you have a personal assistant, you may be able to off-load some of the development work (such as pre-screening scripts) to him or her, but a more experienced development person can help identify the ideal projects to take into development, and manage that process by identifying writers, recommending talent attachments, and maintaining a generalized “situational awareness” of the business. These people move up the food chain quickly, so this is an opportunity to train your future co production partners and develop lasting relationships. Obviously, strong relationships with the casting community can be invaluable as you package your projects, seek financing, etc. the point, I think, is that making movies is nice. It’s fun, it’s artistically satisfying. But unless audiences get to see it, that satsifaction is short-lived. Getting your film into distribution is how you get audiences to see it. But the sales process shouldn’t wait until the film is in the can. I think it should start at the development phase. Having a strong sales agent (or a few strong sales agents) on your team can help you determine what will appeal to audiences in two-, three- or four-years’ time, when your film comes out. they’ll help you select scripts, creative team, and casting. If you ask. If you’re going to be doing business in entertainment, you’re going to need a lawyer who understands the business you’re in. This is just as true for someone who’s just getting started, when your lawyer will guide you in your dealings, as for a longer-established and experienced industry “player” with bigger, more complex deals that involve real legal heavy-lifting. We entertainment lawyers are in the trenches of this industry every day. As a result, we see many more deals, in all of their flavors and varieties than even the busiest, most seasoned producers. This gives us an intimate knowledge of what’s going on in the business. We are aware of how deals are changing, structures evolving, and long-established norms being abandoned. More importantly, your entertainment attorney is your sworn protector. Our oath as attorneys is to put our clients’ interests above our own; to advocate with the utmost zeal on behalf of our clients, and notwithstanding the multitude of lawyer-jokes suggesting otherwise, to approach our work with the utmost of integrity and ethics. Your entertainment lawyer should be someone you have on speed-dial, ready to call at the first sign of a new deal, or of trouble brewing. We can help you analyze and evaluate almost any situation. 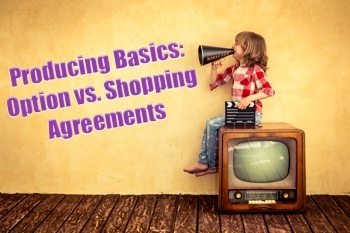 We’ll help identify the benefits, and the potential pitfalls. We will strategize, plan, and implement, all with an eye toward advancing your interests. It’s true, lawyers can be expensive. Especially when you’re paying by the hour. But many of us offer flexible fee arrangements. Ask about percentage fees, Monthly retainers, blended hourly/percentage structures, and other approaches that can help make legal expense predictable. And let’s not forget, legal expenses are tax-deductible. Whether you’re new to the business or well-established; an actor, director or writer crossing over into the producing realm, or a true, creative, dyed-in-the-wool producer, having a capable, competent and professional team in place will support what you’re doing and increase your success. Developing material to produce is a major challenge. A series of major challenges, actually. Next, unless it’s an original idea you’ve conjured from thin air (which, of course, DOES happen), you have to actually secure the right to develop and produce the material. Then, you have to actually make the project happen. This is where the writing, re-writing, packaging and financing come in. But let’s take a look at item #2 above. Securing the right to develop and produce the material.